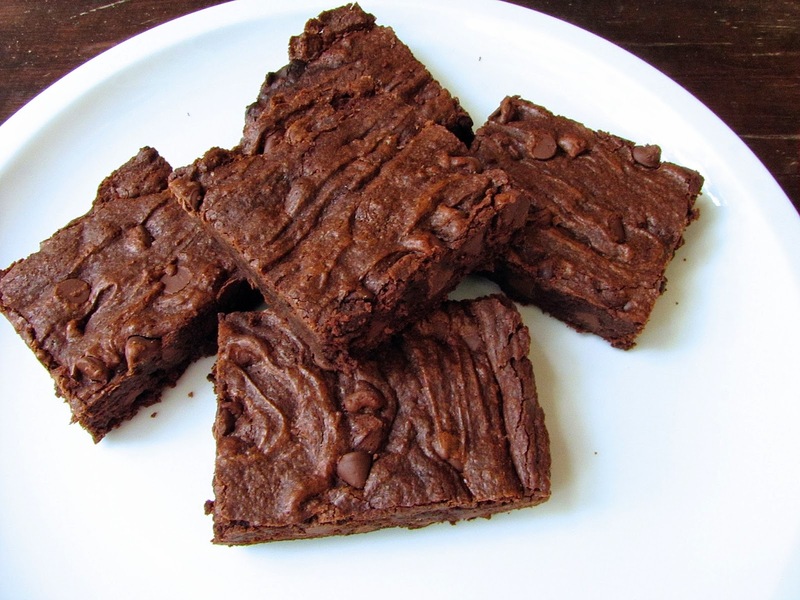 If you are looking for delicious rich and chocolatey brownies you have come to the right place! 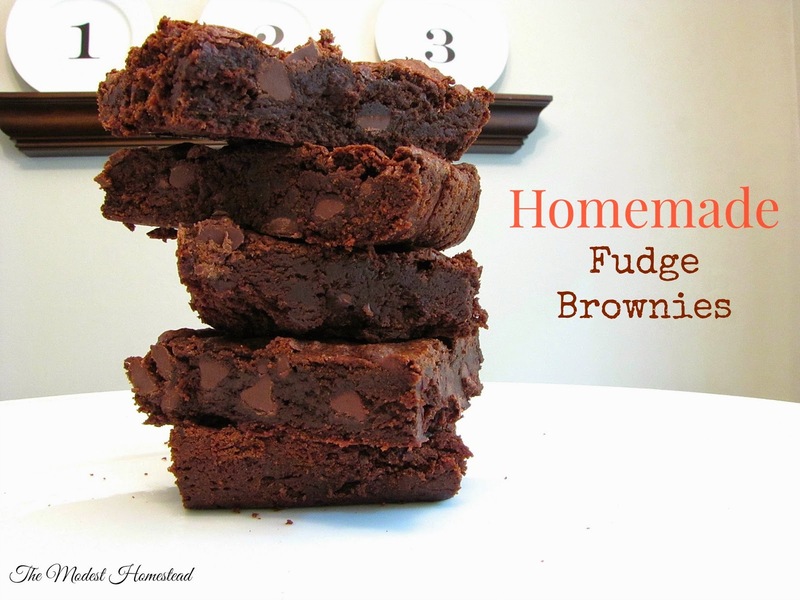 I never thought about making homemade brownies until recently. I actually really like box mix brownies so why try and fix what's not broken right? Well the other day Matt had a friend over and they really wanted brownies. I didn't have any of the box mix so I decided to try and make them from scratch since I pretty much always have baking supplies on hand. I found this recipe online from King Arthur Flour and they turned out great! 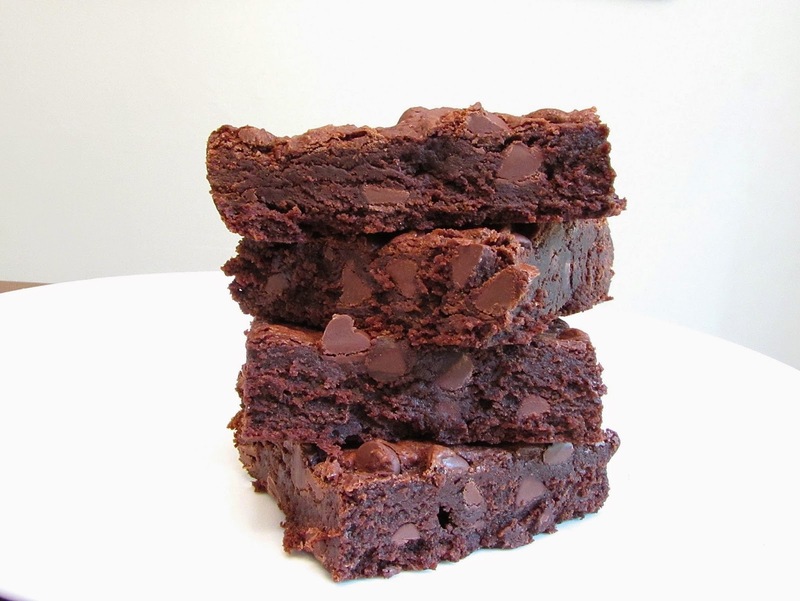 These are perfectly fudgy brownies and I love the chocolate chips in them. They are so easy to make. Give them a try! You won't be disappointed! Preheat oven to 350 degrees. And lightly grease a 9 x 13" pan. In a large bowl, add 4 eggs, and beat with cocoa, salt, baking powder, and vanilla. Stir until combined and smooth. Add the warm butter/sugar mixture to the egg/cocoa mixture, stirring until smooth. Make sure the butter mixture is warm but not too hot or it will scramble your eggs. Spread batter into prepared pan and smooth as needed. Bake brownies about 30 minutes. Test for doneness by inserting a toothpick in the center of the brownies and making a little divit so you can see the center a bit. You should find moist crumbs but no wet batter. Remove from the oven and cool on a rack before cutting and serving.